In what has been called both an ironic and surprising move, Intel will be fabricating the world’s first high-performance, quad-core 64-bit ARM Cortex-A53 processor. These Altera Stratix 10 SX SoCs will also be manufactured using the “revolutionary” Intel 14nm 3D Tri-Gate transistor technology and optimized for ultra-high performance per watt. Altera said that the new chips will be “deliver the industry’s highest performance and most power- efficient” architecture. It described Intel’s 14nm 3D Tri-Gate transistor technology as capable of delivering “breakthrough levels of performance and power efficiencies that were previously unimaginable”. The combination of 64 bit quad-core ARM CortexTM-A53 processors and advanced heterogeneous development and debug tools from Altera will “offer the industry’s most versatile heterogeneous computing platform,” it asserted. 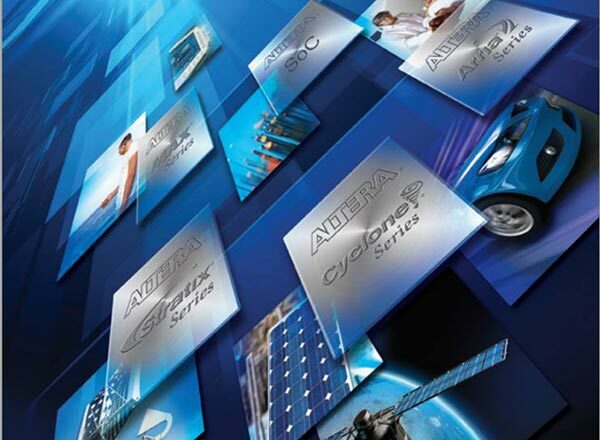 The new Altera Stratix 10 chips are aimed at high-performance, high-bandwidth, and low power requirements in the communication infrastructure, cloud computing and data centres, high-performance computing, military, broadcast, test and measurement applications so you aren’t going to find these in the next Samsung/HTC/Sony etc flagship smartphone or tablet. CNet garnered a statement from Intel spokesman Chuck Mulloy on the newly announced partnership and manufacturing arrangement. “...this announcement from Altera is consistent with the agreement we announced earlier this year. We have said that we will be open to manufacturing competitive architectures and would evaluate them on a case by case basis,” said Mulloy. An interesting development, which is just a baby-step away from this Altera arrangement, is suggested by Forbes. An analyst speaking to Forbes magazine says that this “huge” news development is “just the beginning of a much larger endeavour” for Intel and it is possible that Chipzilla will take business from other foundries and make chips for the likes of Nvidia, Qualcomm and Apple. I had always expected that they were pretty much running to full capacity just manufacturing their own chips to sell. If they now have extra capacity to sell off does this mean they are scaling back the number of chips they produce for themselves? It could be very bad for AMD if nVidia were able to get such a competitive advantage by producing chips on 14nm but i suspect Intel will be very picky about who they manufacture for, ie not big rivals in the same markets as them. The chip is for embedded usage and hence does not compete against them in the mobile market.